James likes the Ottawa Titans Water Fun program so much that he drew a picture of a water polo game for his kindergarten class. Congratulations to U16 Titans boys who took home the Gold for the 2018-19 NCWPL season with a win over the defending champ, Ottawa GG's. It was a fitting final which featured the U16 boys and the GG's, who were the only team able to beat them during the regular season (a 5-4 win in week one). The boys took the championship game by a score of 10-6, allowing them to end the year on a 16-game winning streak. The bronze medal game was a see-saw affair with the Furious Titans pulling out the 11-10 shootout win. The night was a great end to the 11th NCWPL season! Get all the details on the NCWPL website. Special thanks to Mike Wheatley for pictures from the final! The U16 Boys traveled to Markham for their last away weekend of NCL regular season action from March 1-3rd. Facing tough opponents whom they are jostling for playoff positions with, the boys completed their perfect 5-0 weekend with a 13-12 win over DDO on Sunday morning. (boys pictured refueling between games and video sessions). With 2 local games to play on March 30th&31st, the boys sit in 3rd position in Eastern Canada and hope to make a splash at the Eastern Nationals, April 26-28th at the Nepean Sportsplex. Way to go boys! See Water Polo Canada weekend newsletter here, including the Titans Liam Sterne and Jackson Taylor making the All-Star team! February 22-24, 2019 - Titans Cup Tournament! Welcome to our annual 21st Titans Cup event. We are super excited about the weekend - plenty of competitive water polo action happening at two different locations. There will be 24 teams, from 9 different water polo clubs, competing in 4 different divisions. The official schedule for all tournament games available here. U10, U12 and U14 will offer 44 competitive games, scheduled to happen at Carleton University. U18 Girls tournament will include 10 games, with 4 teams, competing at CEGEP pool. Everyone is invited - come out and support ~350 athletes and their coaches participating at the event. The small army of minor officials, referees and volunteers will make sure this weekend will be remembered. The U16 Titans boys and their families had the pleasure of hosting the Győri Water Polo Club from Gyor, Hungary from February 4-13th. The 13 players born in 2004 & 2005 as well as their coach were billeted with Titans families for their stay in the National Capital. It was a great opportunity for the players to learn, not only about water polo, but also about their counterparts' culture and heritage. The boys most-cherished memory, other than the ones in their minds, will surely be the Gyori Club jackets they were presented with by the Hungarian club. A great experience for all, and we wish the best to both of these teams on their water polo journey! Experience is all that it is hyped up to be. The experience of playing at the CAMO tournament on January 18-20 in Montreal was well worth it from a player perspective. The final standings: 5th and 7th place for the boys, 5th for the girls. The take-away from the experience was a weekend of bonding and building friendships and meeting other players from other teams. The athletes were always pumped entering their games and on exiting the pool after the games they reflected on the intensity of the game play. To capture the essence of why they play, the girls’ excitement was captured through meeting Floranne Carroll, a member of the 19U Women’s National Team. They had the opportunity to ask several questions and pose with her. The general consensus amongst the Titans girls is that they can’t wait for the next tournament. January 14th, 2019 - Titans U16 Host Great Weekend of NCL Action! Congratulations to both of our U16 teams who, this weekend in Gatineau, put on a great show on deck, in the stands, and of course in the water! A great collaborative effort by all the parents and athletes to make sure the weekend ran smoothly as well as the WPC delegates who helped make sure the weekend stayed on course. But the biggest shout out goes to all of the athletes who participated in this showcase of their favourite sport. 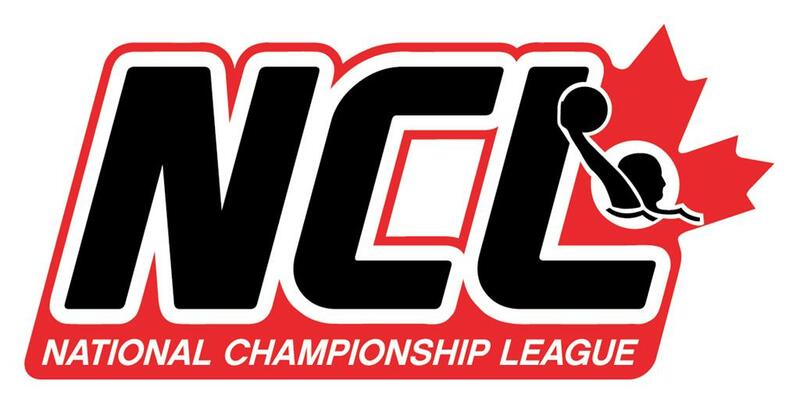 Both teams will be off to Markham in March for their final NCL weekend of the regular season. Congrats Boys and Girls...Go Titans! The U16 boys traveled to Montreal this past weekend (Nov 9-11) and had a great start to their NCL season with a 3-3 record through the grueling weekend which included games against defending national champion Mavericks and bronze medalists Montreal Machine. These games were great experience builders and helped propel the boys to impressive one goal wins over both the Scarborough Shadow and CAMO, to go along with their convincing victory against Mavericks DS. Thanks to Andras, Emilia and everyone who helped out for making it such a great weekend all around for the boys and we look forward to their next games in Gatineau in January! See WPC release here which includes the Titans' own Tomas Andrijasevic making the all-star team! The U16Girls had a great weekend in Montreal at their first NCL tournament of 2018/19. The athletes demonstrated their perseverance and commitment to a great season. October 16th, 2018 - NCWPL Kicks off its 11th Season Tomorrow! Congrats again to our 2017-18 winners, the Ottawa GG's! Congratulations to Titans U16 players Simon, Robert, Andre, Jalen and Ethan for being selected to Team Ontario. These talented young athletes are headed to Greece under the leadership of our Coach Owen Kennedy. You make us very proud boys! Good luck and have fun! The U12 Titans provincial team did the club proud this past weekend with a fourth place finish at Provincials. They won their first three games against K-W Inferno, Shadow Tigers and Mavericks Colts with great team play and excellent energy as well as fantastic coaching from Owen Kennedy and Liam Dale. The team had a tough Saturday against Maverick Mustangs and Shadow Lions but rallied and showed up in full force for the bronze medal game against the Maverick Broncos. At no point was there more than a one goal difference, with the game eventually going to a shootout where the Broncos prevailed 10-8. The progress and the cooperation of the players was outstanding. Between games, they even managed a Birthday celebration for Felix Joly. It really bodes well for the future U14 team.A big shout out to Janice Dale for taking the lead and organizing all of us. June 2, 2018 - Annual Awards Banquet a Fitting end to Another Great Season! This past Saturday, Titans young and old, gathered once again for the Annual Awards Banquet, with this year's festivities taking place at the Nepean Sportsplex. While the banquet marks the end of another successful season for all of our athletes, a special mention goes out to our Ottawa Titans Outstanding Athletes of the Year, Julia Decaire and Bogdan Djerkovic! Check out this video commemorating the evening put together by one of our own parents Eduard Romanov (see video here). Congratulations to all of our athletes and we look forward to seeing you all back next year! April 15th, 2018 - Silver for U14 Boys at Provincials! Congratulations to the Titans U14 Boys who took home silver at this past weekend's Provincial tournament. Seeded 3rd headed into the tournament, the boys used their experience and training, throughout the weekend, to secure 2nd place. After two easier wins to start the weekend over Mavericks 3 & 2 (22-2 and 17-1) the boys faced the powerful Scarborough Shadow team in a game that would decide the semi-final match-ups. Down 4-0 early, the boys showed their experience and fought back for a huge 11-9 win. This pitted the boys against Southwest later that evening in a game that got off to a slow start but had the Titans eventually pulling away for the 16-6 victory. Sunday brought the Gold Medal game against the Mavericks number one team, but despite having an early lead, the boys took silver after a hard fought 6-4 loss. Next up for the boys are Eastern Nationals in May with sights again set on Gold! The Titans also sent a younger boys squad, who despite their youth showed great courage and will have gained invaluable experience after playing teams older and bigger than them. The Girls team was in for a tough battle with several strong experienced squads present, but they fought valiantly with their best effort coming in the bronze medal game which was close up until the 4th quarter when KW scored a few quick goals. The girls are also headed off to Montreal in May to cap off their year. Congrats to all our athletes and good luck in Montreal! March 25, 2018 - Major League Silver at Nationals! 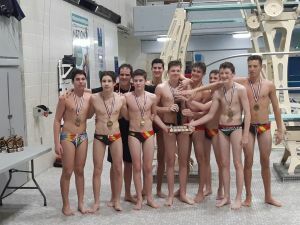 In their third NCL season the Titans' Senior Men’s team succeeded in reaching the podium winning Silver at the elite Canadian Water-polo Championship, that was held in Montreal on March 23-25. In the quarter finals Ottawa United Titans Black went up against the Mavericks and took an early 4-0 lead then held on strong for a 6-3 win.Their semi-final opponent were the Calgary Torpedoes, a powerhouse filled with current and former Senior National Team players. The Titans started the game as they had all weekend, netting 4 consecutive goals in the first half. The Torpedoes answered back at the beginning of the third quarter, but Ottawa’s goalkeeper, Boris Frlic kept a cool head under fire and made some great saves to help his team qualify for the Gold medal game. This set the stage for the Montreal Thriller, a sight that had not been seen for a while. The Titans squared off against Dollar Black, a team that once again featured a roster with familiar names from Canadian National Team including former Olympian Justin Boyd (the tournament MVP). In an evenly played game, Titan Jonathan Ruse scored the equalizing goal with 0.7 second left on the clock to tie the game at 9. This was followed by loud cheers from the Titans contingent in the stands who had traveled from Ottawa to support their team in their final game. The first round of penalty shots was not enough to determine the winner, with both teams scoring on 4 of 5 shots. It took a golden goal shot to clinch victory for Dollard in the end. Titans’ coach Andras Szeri was named the Most Valuable Coach of the tournament! Well done everyone and thanks for making us all proud! The Ottawa Titans Water Polo Association is a not-for-profit organization that has been serving the Ottawa community since 1984, offering recreational and competitive water polo opportunities to players from 5 to 55+ years old. 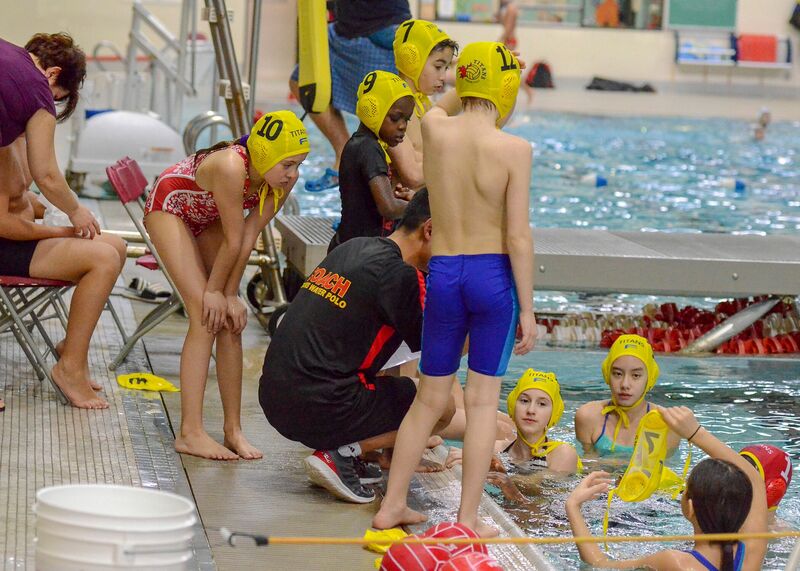 We are one of the largest and most successful water polo clubs in Canada. In the past five years, the Titans have ranked among the top 5 water polo clubs in the country and have produced a number of athletes who proudly represent Canada at the international level. 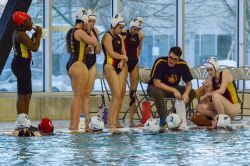 This tremendous success at the competitive level can only be sustained thanks to one of the most comprehensive set of recreational water polo programs in the country. The Titans are THE place to be for any water polo enthusiast.